A spinal cord injury (SCI) is damage to any part of the spinal cord or nerves at the end of the spinal canal, which often causes permanent changes in one’s strength, sensation and other body functions below the injury site. The Mayo Clinic says spinal cord injuries are often sudden and traumatic blows to one’s spine, which then can fracture, dislocate, crush or compress one or more of a person’s vertebrae. According to the National Spinal Cord Injury Statistical Center at the University of Alabama at Birmingham (UAB), there are approximately 17,000 new SCI cases each year. There are more than 282,000 people living with a SCI today. Paralysis – Paralysis can be either partial or complete. Paraplegia – Complete paralysis of the lower extremities and usually the lower trunk. Quadriplegia – Complete paralysis of all four extremities. The location of an injury can also impact or affect the severity and symptoms of an SCI. Some symptoms even occur over time, not at the time of the incident. Spinal cord injury victims can experience loss of movement, loss of bowel and bladder control, muscle spasms, loss of intimacy and relations, difficulty breathing, numbness, pain, speech loss, and loss of sensitivity to cold, hot or pressure. According to the National Institute of Health, until World War II, a serious SCI usually meant death. There is still no way to reverse the damage to the spinal cord, however, researchers continue to work on new treatments, including prostheses and medications that may promote nerve cell regeneration or improve the function of the nerves that remain after a spinal cord injury. For victims, treatment often involves long term hospital stays, long-term professional care, surgeries, physical therapy, speech therapy, occupational therapy, nutritional management, and counseling. Other will require specialty equipment like crutches, braces, wheelchairs, respirators, specialty beds, and specialty vans. 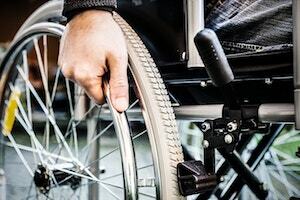 Florida Personal Injury Attorney Tami Wolfe understands that a spinal cord injury can change someone’s life forever and often include extensive medical expenses. She also understands that a victim’s paralysis can also affect family members (parents, spouses, and children) and friends. She helps victims and their families receive the maximum recovery for their accident or injury for current and future medical needs. She represents clients throughout South Florida including Davie, Fort Lauderdale, Plantation, Weston and Sunrise. If you or a loved one has suffered a spinal cord injury or neck or back injury, paralysis or wrongful death as a result of someone else’s negligence, contact Tami online or call her at (954) 791-0477 for a FREE consultation.